A CCTV security system is like having watchful eyes that never close – all around your premises. There are a number of CCTV options and SGS Systems can advise which meet your security criteria best. We can then install and maintain the security system for you. Black and white or colour? – Depending on budget, colour cameras are usually preferable – especially where detail can be important, for example in identifying merchandise in a retail outlet. But in situations like access control, black and white is often quite adequate. Overt or covert? – It depends what you want to achieve. Overt cameras say “there’s someone watching” and can have a strong deterrent effect. On the other hand, covert cameras are not easily seen and are ideal for identifying offenders in order to secure a conviction – for example, a sneak thief in a factory locker room. Static or fully-functional? – Static cameras are fixed in one position, usually looking at a vulnerable area. They deliver a pre-determined view and any action taking place out of frame cannot be recorded. Fully functional cameras are fitted on larger installations, often on the outside of buildings. They can pan and tilt, zoom in and out, and can be operated by a security guard to get the best view possible of activity in a wide area. Which kind of CCTV security systems would suit you? There are a variety of CCTV security systems. The category depends on the budget available, the limitations of the site and the level of security risk. Simple CCTV security systems? – The most basic system is a camera and a monitor. This is quite adequate for access control, or perhaps for a blind spot in a small shop. Adding a DVR ( digital video recorder) would mean that everything the camera saw would be recorded, and the time and date registered on each frame. The images could then be used as evidence in a court of law. Fully functional CCTV security systems? – A large, more sophisticated multi-camera installation – where the output of each camera is stored digitally for playback, and the operator can control the camera in order to get the best results. What about remote monitoring? 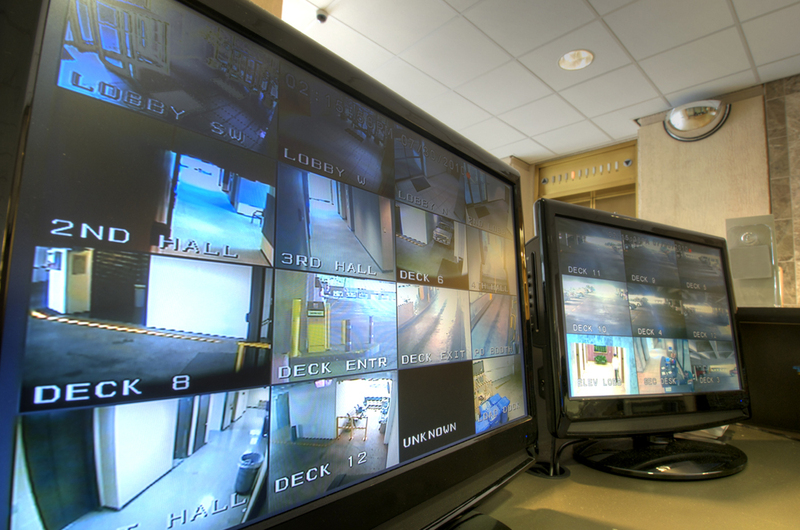 – We can link any CCTV security systems into your control room for on-site monitoring or, by using PSTN or ISDN lines, we can link systems of any kind to the alarm receiving centre, where highly trained operators can monitor them around the clock. Random visual patrols allow us to see exactly what’s happening on your premises, and with an ISDN link we can listen in and talk to the site if necessary. Alternatively, a motion alarm can alert the ARC (Alarm Receiving Centre) if it detects movement. The operator then takes charge of the whole CCTV security systems to track intruders and record events. Should an incident occur, we could instantly appraise the situation and take appropriate action. We offer CCTV security for CCTV Wolverhampton areas, the West Midlands across the UK. For a site survey of your premises, call us now on 01902 700687 to arrange a visit from one of our engineers.